Every year thousands of people are injured or killed by uninsured drivers or vehicles on public roads. The insurance premiums of law abiding motorists contribute to the Motor Insurers’ Bureau (‘MIB’), the mechanism by which innocent victims of uninsured motorists can, as a last resort, seek compensation for their injuries and losses. 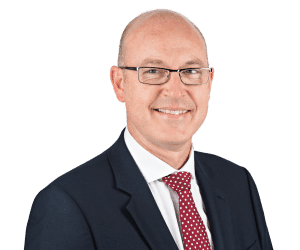 Until recently, there was no mechanism in UK law to enforce the EU law requirement of indemnity for accidents on private land, and victims would simply go uncompensated, even in cases of catastrophic injury. That is until the case of Lewis v Tindale and the MIB , where a farmer, Mr Tindale was in pursuit of thieves in his uninsured Nissan Terrano 4×4 vehicle, along public roads, footpaths and through fields in Lincolnshire. After driving through wire fencing into a field, the vehicle collided with Mr Lewis, who was out walking on private land. Tragically, Mr Lewis suffered severe, life-changing injuries. Because Mr Tindale was uninsured, Mr Lewis advanced a claim to the MIB. Whilst not disputing Mr Tindale’s full liability for the accident, the MIB argued that it had no contingent liability to compensate Mr Lewis under the Uninsured Drivers Agreement, because the accident and injuries were not caused by or arising out of the use of a vehicle on a road or other public place. Under Article 3 of the 2009 EU Motor Directive, member states must take all appropriate measures to ensure the compulsory insurance “in respect of the use of vehicles normally based in its territory”. In hearing the case, Mr Justice Soole found that in decided cases, the Court of Justice of the European Union has made it clear that the obligation of compulsory insurance extends to the use of vehicles on private land. Was the MIB obliged to satisfy any such judgment Mr Lewis may obtain, pursuant to the 2009 EU Motor Directive? Do the provisions of the relevant Directive have direct effect against the MIB? The answer to both of these questions was a categorical ‘yes’, giving Mr Lewis the right to claim an award for his severe injuries and substantial financial losses. This is an important decision. Mr Justice Soole and the Court have made it clear that people injured at the hands of uninsured motorists, whether on public or private land, will not be left without recourse to compensation. If you a seeking compensation following a road accident, whether on public or private land, and need guidance and support, please contact a member of our expert Serious Injury team. Drink-drive deaths on the increase again?